This is the split Mung (Moong) Bean with a creamy interior and the natural green husk still intact. It cooks faster than the whole Mung Bean. Once softened, it thickens to form a delicious, rich gravy. Dals with husk are generally considered more nutritious in India and Mung Dal Chilka is rich in proteins and iron, making it the perfect energy booster in a vegetarian diet. 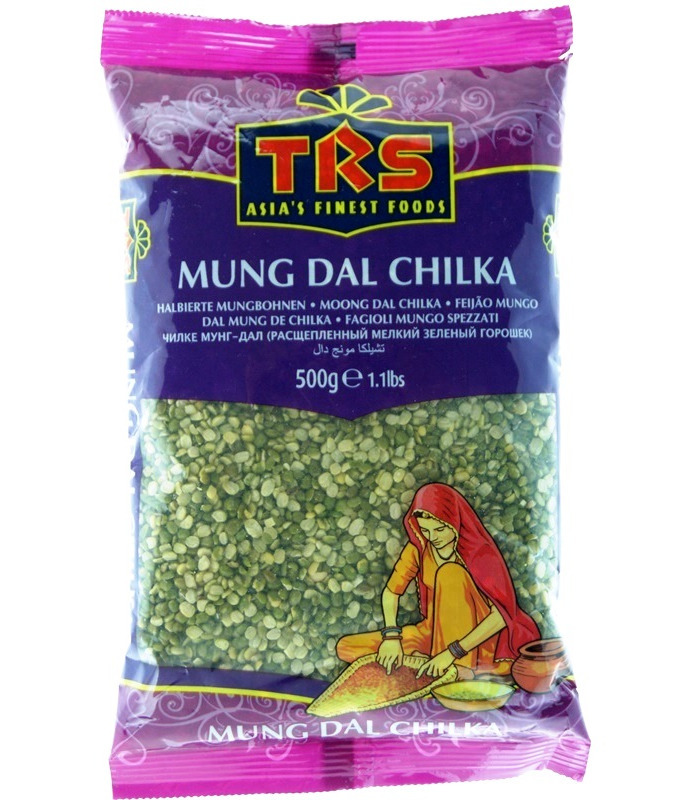 Uses - They can be used to prepare Mung dal chillahs or chilla or pancakes. - They can be used in snacks (the Indian spicy mixture or ´Dal Moth´). - Pressure cooked Mung dal with an onion-tomato tadka is a delicious main course dish in India. Health Benefits - Mung Dal Chilka is rich in protein, vitamins and minerals which are good for the skin and hair. 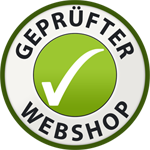 - It provides dietary fiber. - It is said to be good for diabetics. - As Mung Dal Chilka contains good amounts of magnesium, it is recommended for people pre-disposed to heart diseases. - It is a good source of protein, vitamin B6, iron, magnesium, phosphorus, potassium, etc. - It contains Vitamin C, Vitamin K, Riboflavin, Folate, Copper and Manganese. Storage: Store the dal in an airtight container, in a cool, dry place. 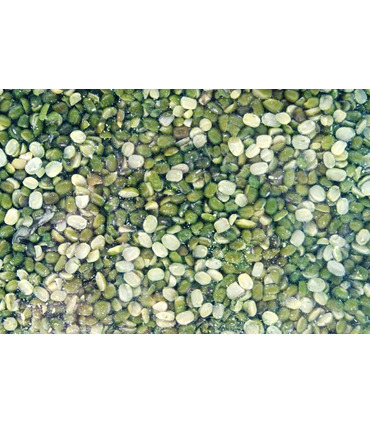 This is the split Mung (Moong) Bean with a creamy interior and the natural green husk still intact. It cooks faster than the whole Mung Bean. Once softened, it thickens to form a delicious, rich gravy. Dals with husk are generally considered more nutritious in India and Mung Dal Chilka is rich in proteins and iron, making it the perfect energy booster in a vegetarian diet. 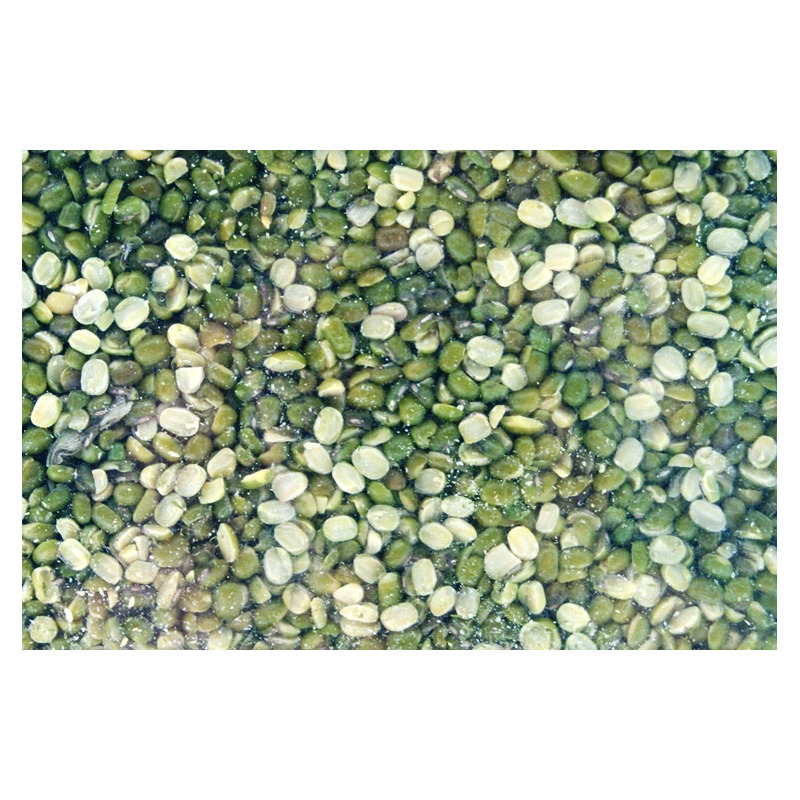 - They can be used to prepare Mung dal chillahs or chilla or pancakes. - They can be used in snacks (the Indian spicy mixture or ´Dal Moth´). - Pressure cooked Mung dal with an onion-tomato tadka is a delicious main course dish in India. 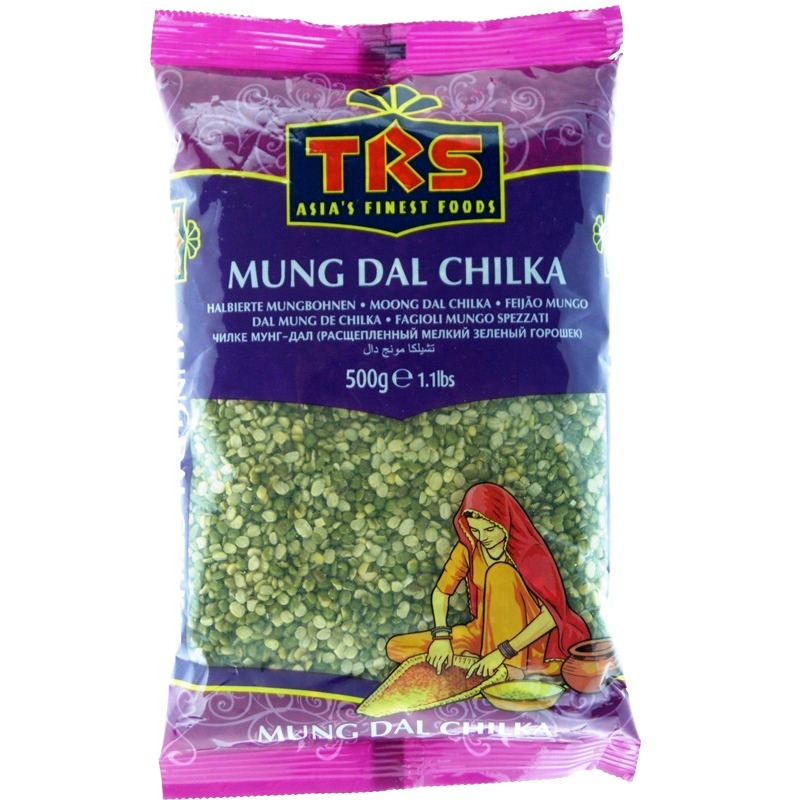 - Mung Dal Chilka is rich in protein, vitamins and minerals which are good for the skin and hair. - It provides dietary fiber. - It is said to be good for diabetics. - As Mung Dal Chilka contains good amounts of magnesium, it is recommended for people pre-disposed to heart diseases. - It is a good source of protein, vitamin B6, iron, magnesium, phosphorus, potassium, etc. - It contains Vitamin C, Vitamin K, Riboflavin, Folate, Copper and Manganese.